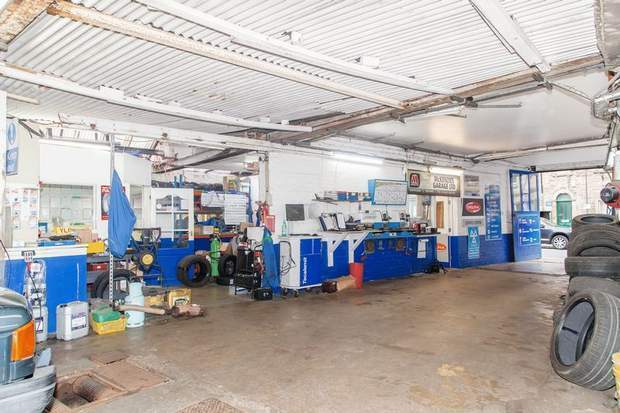 A unique and fantastic opportunity to purchase a mixed use property with a commercial unit used as a vehicle repair garage, a large workshop, office and showroom together with a two storey dwelling above comprising three bedrooms situated in the heart of Matlock. The commercial unit offers the ability to be used for a number of uses, offering an excellent investment property or for those who wish to run a business from home. 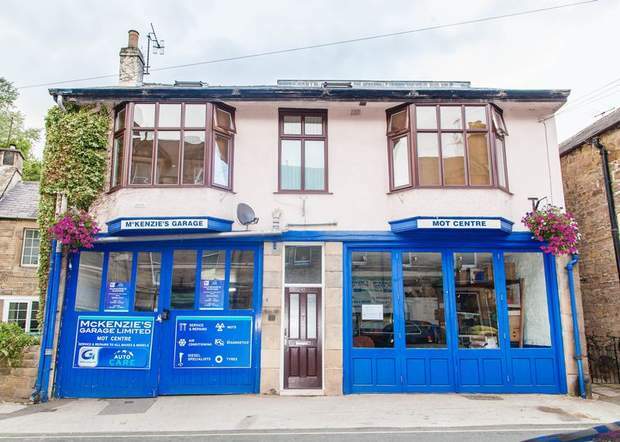 The property is located within the popular former spa town of Matlock a short distance from the town centre. The town has a range of amenities within walking distance including public houses, primary and secondary schools, high street shops, super markets, cafes an restaurants and various other businesses. The larger market town of Chesterfield is 9.5 miles away and City of Derby is 19 miles away. The property is located near to the Peak District National Park which provides the opportunity to enjoy fantastic walks, scenery and numerous outdoor activities close by. The sale of the property offers an outstanding opportunity to acquire a mixed use property with a large commercial garage/unit all situated undercover and a spacious two storey modern dwelling over comprising three bedrooms, three reception rooms and a breakfast kitchen situated on a desirable street. The property is ideally located for easy access onto the A623 and the A615 providing a good road network for a trading business. 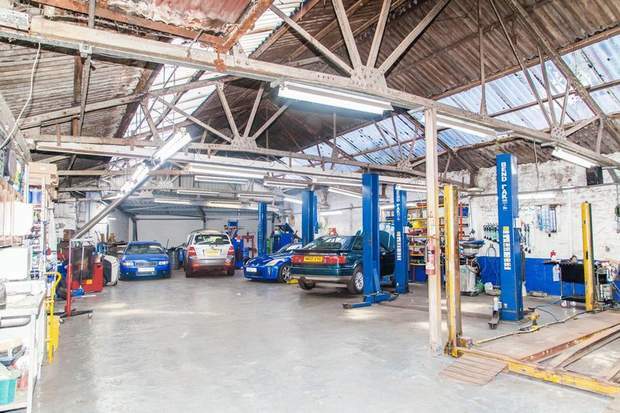 The property has the potential for a number of uses subject to the necessary planning consent, which currently has been used as a successful repair and MOT garage. Upon completion of the sale, the business will stop trading, however there is the option for the purchaser to continue to operate the long established business. The vehicle ramps and air compressor are included. The remaining stock, fixtures and fittings are available by separate negotiation, please contact the office for further details. Please note that there are no guarantees or warranties that the current customers will remain. The property has been owned by the current the vendors for 22 years and has been run as a mot and repair garage by the vendors. Therefore, the property has not been offered to the market for some considerable time. An opportunity like this is rare. 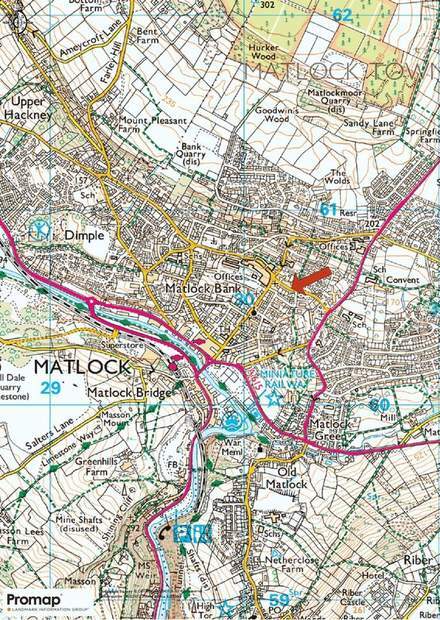 From Matlock town centre at the Crown Square roundabout, head north east along Bank Road. Head up the hill, past the entrance to the County Hall and take the second turning on the right at the crossroads onto Smedley Street East. Follow the road and the property will be found shortly on the left hand side. With independent vehicular access from the road through folding display doors and a pedestrian door into the workshop, a diverse space which could be used for displaying goods, an office, further work space or could be rented out separately. Fully enclosed from the main workshop, with a counter and waiting area. Next to the office is an area currently used as a tyre store, but can use used for general storage. 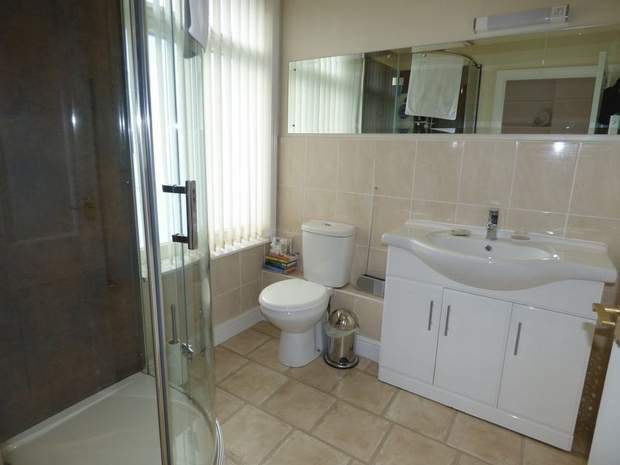 With a kitchen area with sink and washing facility and a separate WC and cloaks store. With stairs rising from the ground floor entrance door, a spacious hallway with a velux window to side, a radiator and stairs rising to the second floor. 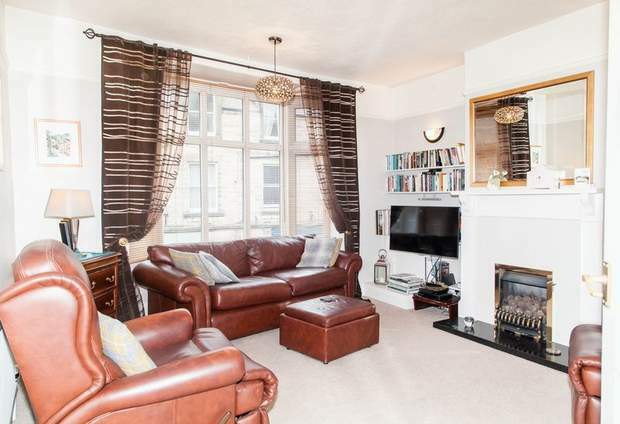 A large bay window to the front, with a feature fireplace with a painted timber surround and raised quartz hearth housing a living flame gas fire and a radiator. 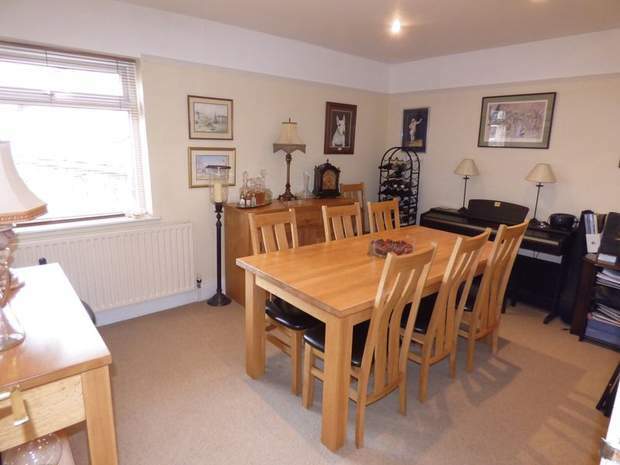 With a window to the side, a spacious room with double doors from the hallway and a radiator. A spacious room with a comprehensive range of matching wall drawer and base units with quartz worksurface over and a central island with a breakfast bar with wine rack and a two drawer pull out fridge. 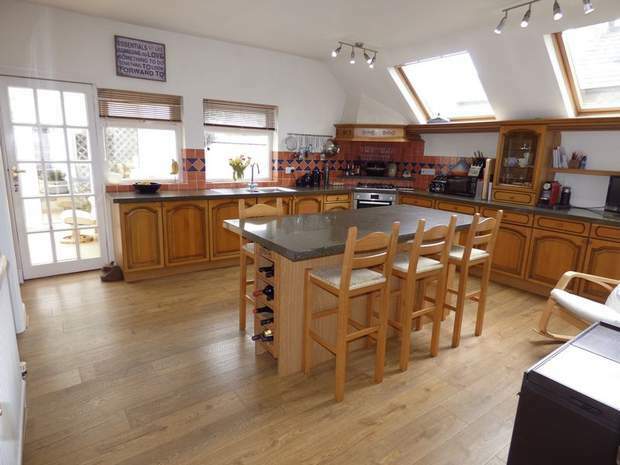 Other appliances include a double electric oven and grill with a four ring gas hob and extractor over, dishwasher and one and half bowl sink and drainer. There are two radiators, two large velux windows, two further windows to the rear and wooden flooring. There is a door to the Hallway, study and conservatory. With a close coupled low flush WC, corner wash hand basin and an extractor fan. Leading from the Breakfast Kitchen, a uPVC conservatory overlooking the rear terraced with double doors out, radiator. 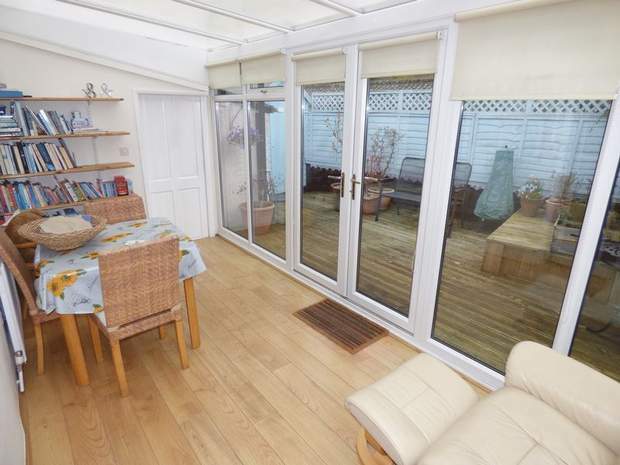 Accessed through the Conservatory, with plumbing for a washing machine, space for a fridge freezer, further storage area and also houses the gas fired combi central heating boiler. 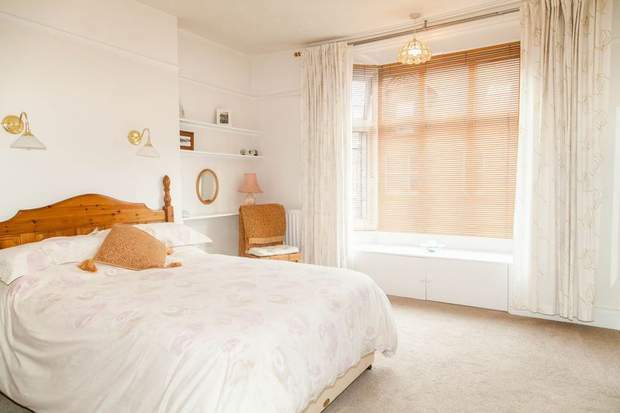 Accessed from the Entrance Hallway, a spacious master bedroom, with a large bay window to the front incorporating a window seat and storage beneath, two radiators, built-in large wardrobe and a door into the En-Suite. With a window to the front, comprising a walk-in quadrant shower cubicle with an electric shower, a wash hand basin and vanity unit, low level close coupled WC, part tiled walls, extractor fan and a feature stained decorative glass window to the entrance hallway. With stairs rising to the second floor landing from the entrance hallway, with a velux window, radiator and an area suitable for storage. 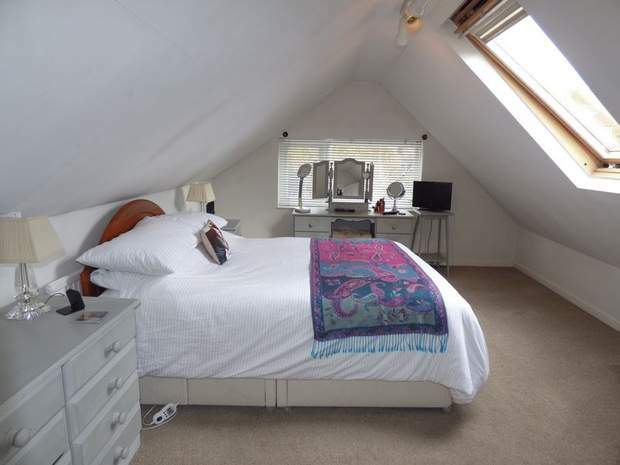 A double bedroom with a large velux window and a window to the rear with views over the town and hillside beyond together with a radiator. 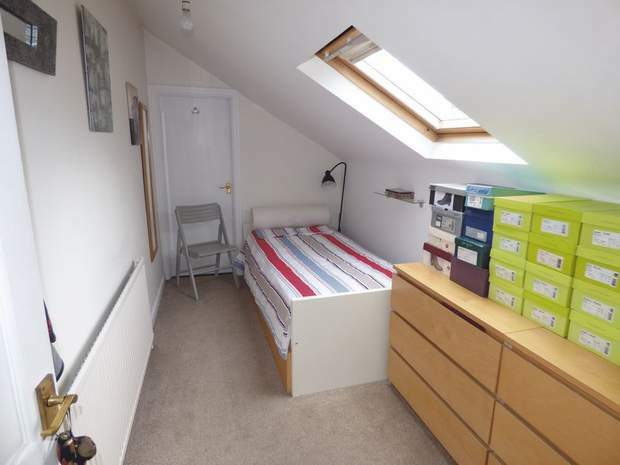 With a velux window to the front, a radiator and a door into a walk-in storage cupboard. Accessed from Bedroom three, a walk-in storage cupboard with shelving. 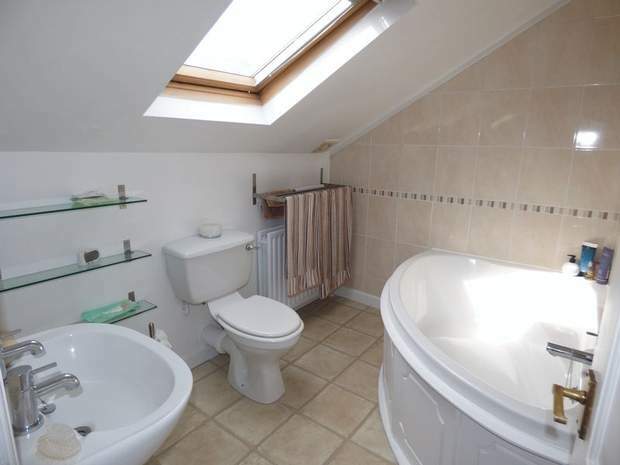 A three piece bathroom suite comprising a large corner bath, with shower attachments over, pedestal wash hand basin, low flush WC, towel radiator and velux window. 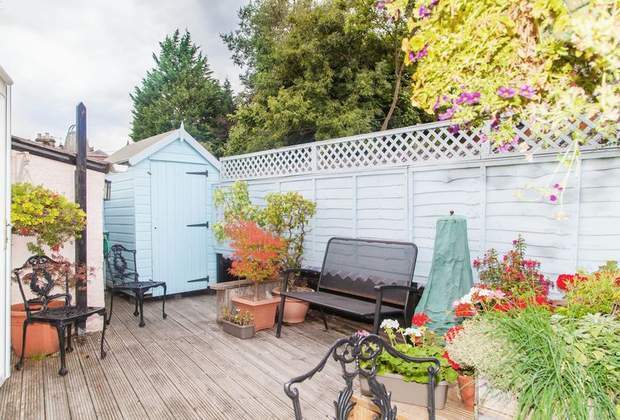 A delightful rear enclosed decked terrace garden, excellent for outside dining enjoying a sunny position, together with a timber garden shed, accessed through the Conservatory. 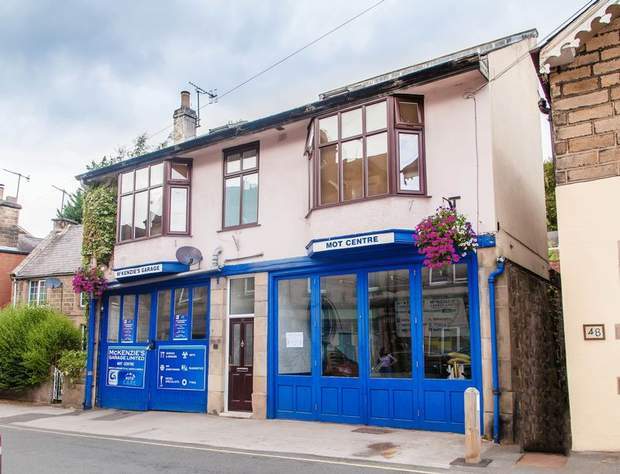 The property is offered Freehold with vacant possession upon completion. Mains water, three phase electricity, gas and waste are connected to the property . The dwelling is registered in council tax band B. 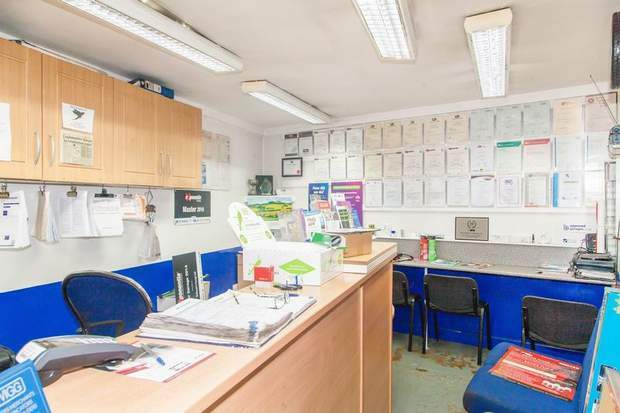 The Business rates on the garage unit are recorded as £13,500 per annum. Only those fixtures and fittings referred to in the sale particulars are included in the purchase price. We understand that the vehicle ramps and air compressor are included. All other equipment and stock are available by separate negotiation. For a full list of fixtures and fitting in the garage, please contact the office. Strictly by appointment through the Bakewell Office on 01629 812777. 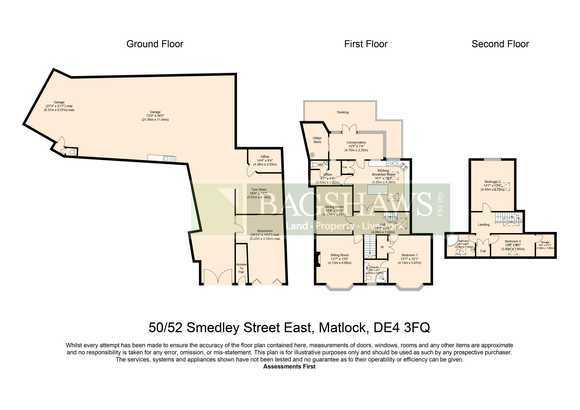 Bagshaws LLP have made every reasonable effort to ensure these details offer an accurate and fair description of the property but give notice that all measurements, distances and areas referred to are approximate and based on information available at the time of printing. These details are for guidance only and do not constitute part of the contract for sale. Bagshaws LLP and their employees are not authorised to give any warranties or representations in relation to the sale.